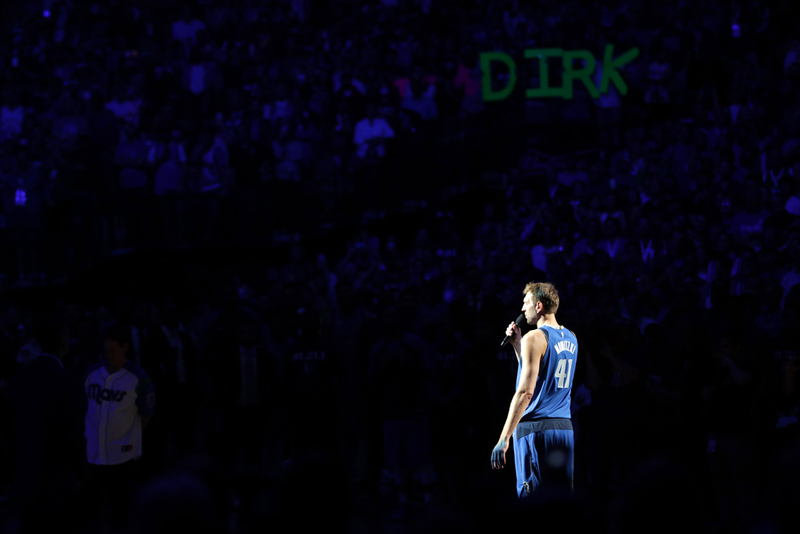 A single, subtle spotlight shone on superstar Maverick Dirk Nowitzki in Dallas as he held a microphone at his centre court stage like the chairman of the board Frank Sinatra. The good German gunner retiring his way. 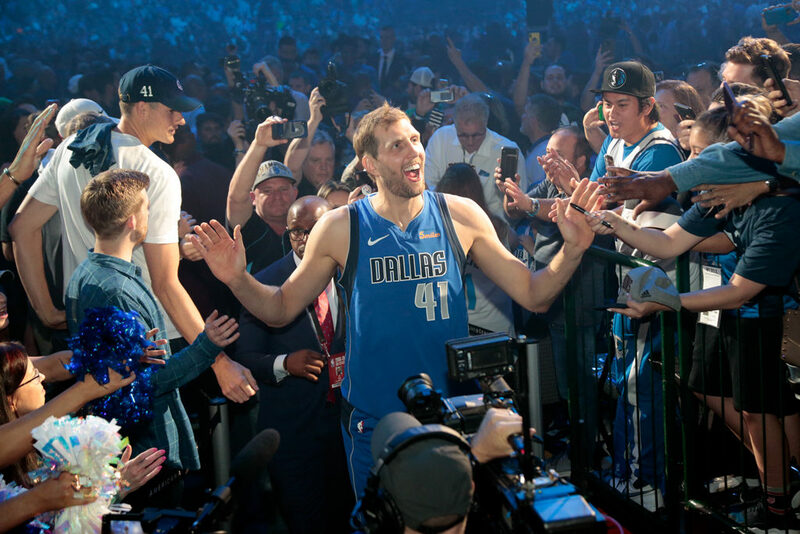 At the love in of mid-February in Charlotte, North Carolina for the Basketball mid-season classic of the NBA All-Star Weekend, Dirk was named as a special honorary legendary addition to ‘Team Giannis’ squad. A fellow seven foot unicorn and Greek Freak of nature (but if Antetokounmpo is the most versatile big man of all-time it’s because Nowitzki is the most revolutionary) this European legend helped inspire like teammates Luka Doncic and Kristaps Porzingis (which in that order after Dirk may go down as the three best international basketball players of all-time). A best foreign big-three of all-time unfortunately now we will never see together play in the Texan triangle big-three, holy trinity. 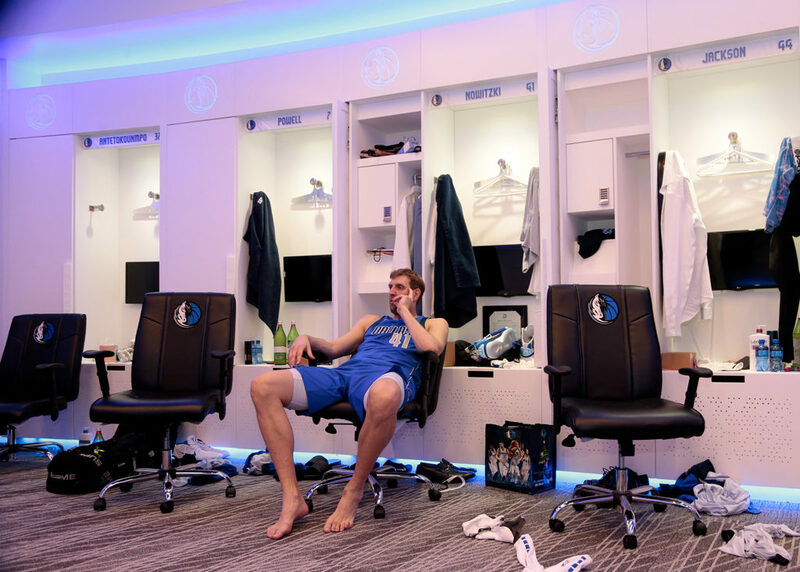 After Dirk has battled everyone from Tim Duncan’s in San Antonio to the Houston Rockets James Harden all alone for two decades plus. Alongside the rocking retiring tour chair of Dwyane Wade for his best friend, ‘Team LeBron’. And swapping jerseys in this gift of an exchanged season it’s been quite a show of in harmony, symbolic synchronicity of symmetry for these former final rivals with their own chips they brushed off their shoulders to come together for one photograph finish this year in uniform unity. 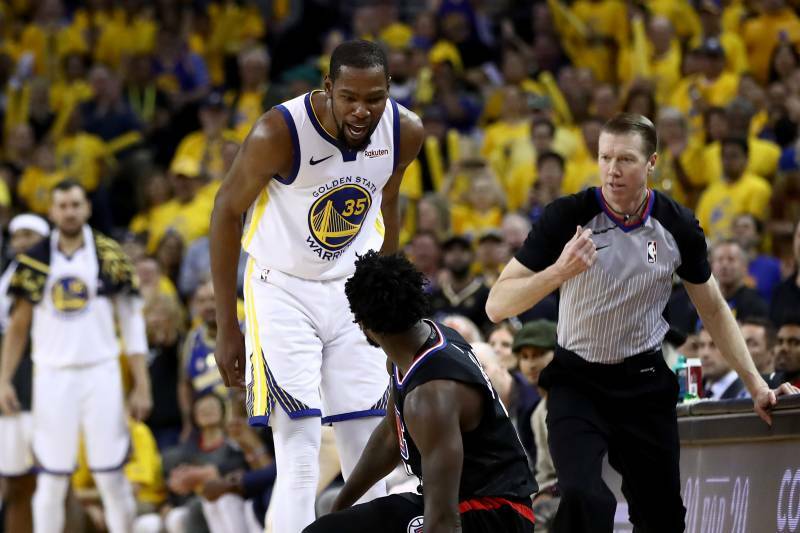 And even last night in a flash of lasts for this weeks grand finale of NBA history in this storied season, that has seen the San Fran Warriors to be play in the Golden State of Oakland for the very last time, Dirk scored 30 too (along with collecting 8 rebounds, 3 assists and a block) against a scorched Suns (though Sixth Man super sub legend worthy of his own parade Jamal Crawford had 51 to become the first player in NBA history to hit 50 for four different clubs) like Dwyane against the Sixers. All for a combined Kobe final 60 (although this 40 year old franchise lifer you once free agent cold called did it off 30 shots Bean as he checked your box score) for these Mamba era mentality legends as both called game and it a career for the record book memories of those who changed the association from big threes to bigs who could shoot the three. Superteams to seven foot unicorn stores like Captain Marvels. And how fitting for the great downtown hope of Larry Bird with the shot to introduce him (along with heroes Scottie Pippen, Charles Barkley and Seattle Supersonics legends Shawn Kemp and Detlef Schrempf) at the half for a full tribute that shed tears you simply couldn’t help to wipe away? 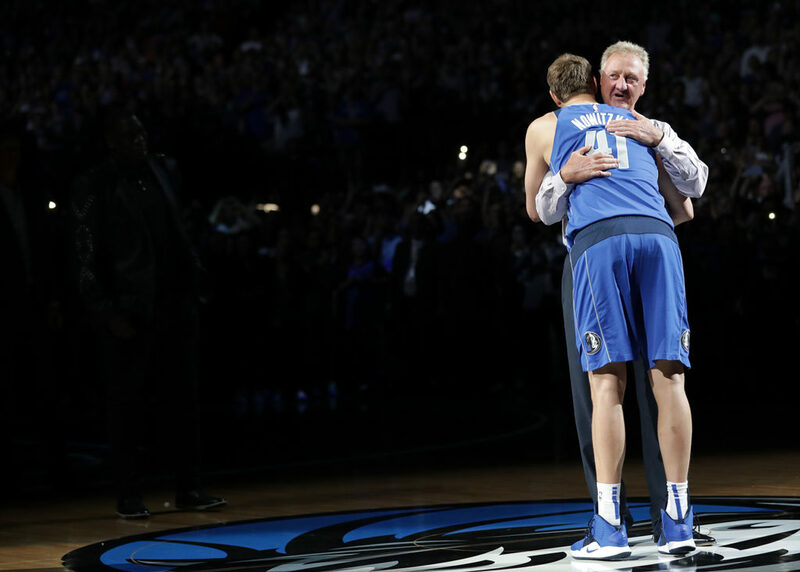 As after the Wade’s world waltz of the One Last Dance season of number 3 really gave us the 82 game time to savour and celebrate all he’s done on court as we wished him on his way of Wade, after weighing up the love for the game pros and injury riddled cons all stunted season, Dirk put it plainly in a simple sentence as we might have expected, “this is my last home game”. As a big disbelief, disappointed “aww” erupted. Followed by a chorus of cheers that stood in auditorium decibel audible ovation. One exit last night on a red carpet, the other out the back door. One more celebratory. The other more subtley so. But neither wrong. Both just done with class in their own, unique individual way. Just like the players and professionals they were and remain will always be. And if Dwyane is top three in all-time Shooting Guards, then Dirk is the greatest of all-time when it comes to players shooting from other shores. His lethal fadeaway from deep may as well have been as far back as his home country for your Euro-step, let alone the three point line. It belongs right next to Kareem’s hook or M.J.’s fade as one of the greatest, most unstoppable shots in L history. The most beautiful parquet perfect sight to behold from the elbow to the nosebleeds. But how this man changed the game is in more than this blonde bombers shaggy shot and the one he had and now others do in this league, with that ingrained in the surface of the Spalding will to never give up as you fingertip spin the ball on your palms by the seams of beyond the arc. All you have to do is look to the future to see what this monumental man has built like the statue that will one day reside outside a Dallas, Texas who once thought, “who the hell is this kid”? A Hall of Famer people. So whilst they clink Budweiser’s for Dwyane out in the talented Wade County of South Beach bringing and saying goodbye to the Heat, it’s time to light a Cuban for this stogies last cigar now his career is endgame ash. The west will never be this wild again without this long range gun. But at least after this last home-stand one of our generations greats will have one last run at the Alamo in San Antonio for a Texas derby ride this Thursday. After 21 seasons number 41 is done after one last game, for just one team, after all this time. And now it’s all on to the double 7. Danke Dirk. Let’s look for Luka. But please not you too Vince. Not just yet.